Bright and bold, our blue elf contact lenses always make a statement. 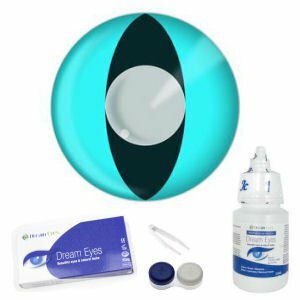 These lenses have a gorgeous light blue color with a thick black outline that is very dramatic. 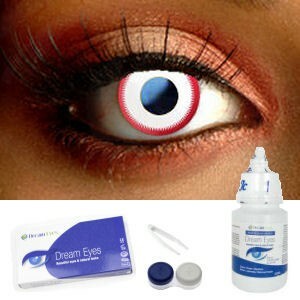 They completely cover your natural eye color and look amazing with a wide range of different Halloween costumes. 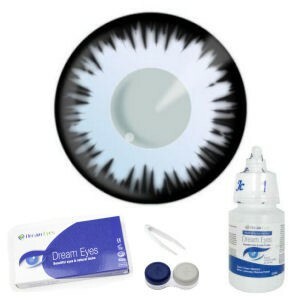 Colored Contact Lenses are a great choice for costumes and parties. They combine bright fashion designs with exceptional quality and comfort. 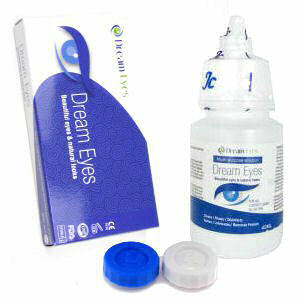 These colored contact lenses feel great, thanks to their high water content and oxygen permeability. Comfortable to wear and easy to clean, these colored contacts make it easy to create a stunning costume look.